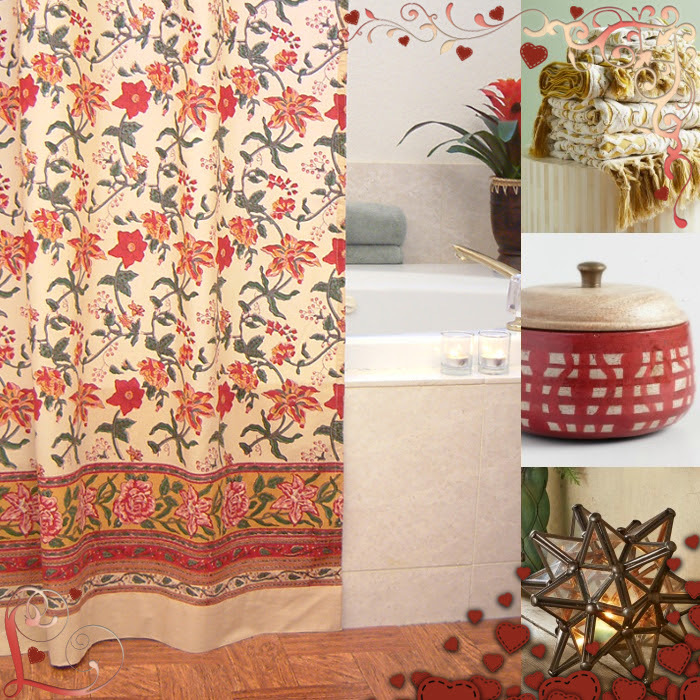 Blog » Shopping Guides » Valentines Day » Re-Do Your Bath with a Bit of Mosaique Magic! Re-Do Your Bath with a Bit of Mosaique Magic! Intricate and elegant, this bright combination of tangerine and turquoise will breathe life back into your bath in the minutes it takes to hang a new shower curtain! Mosaique Bleue is a year-round stunner, but I thought it would be especially nice as a February refresher, for Valentine’s Day. 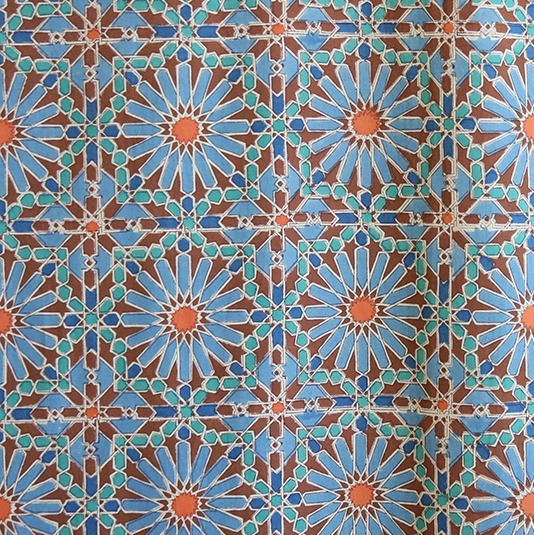 Mosaique Bleue is inspired by the exquisite tile art of Morocco, and you’ll sense that same heartfelt attention to detail and love for beauty in our hand-printed pattern. 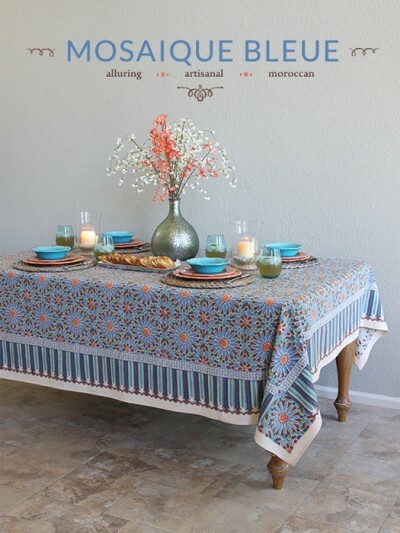 Use this print along with blues (from navy to turquoise), citrus colors and metallics for full effect in your space. 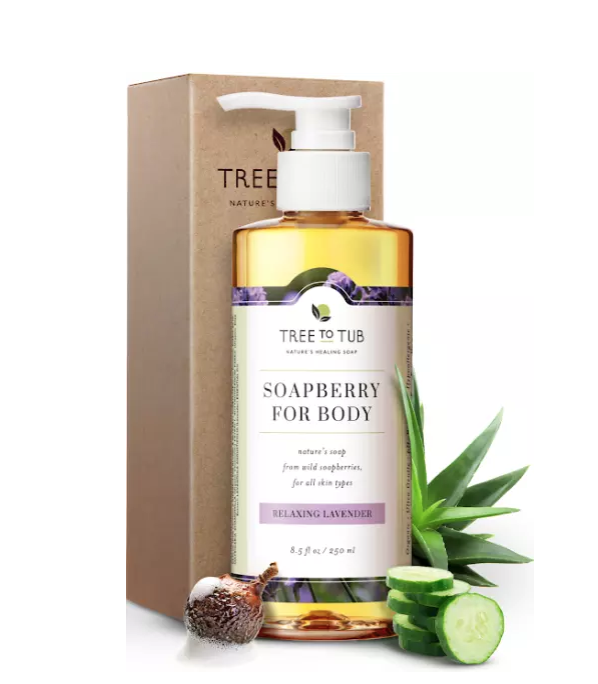 Take the sensuality of your Valentine’s Day bath to the next level with luxurious, bath soap made with soapberry. You’ll feel refreshed, blissful and relaxed. Doesn’t that sound good? 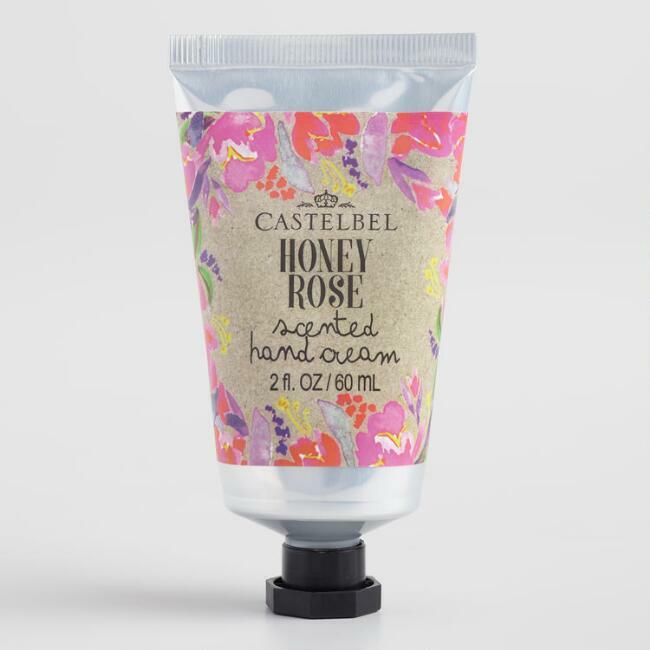 If there’s still a smidgen of stress left after your aromatherapeutic bath, rub it away with hand lotion in Honey Rose. You’ll likely float out of your bathroom on a cloud of peace after this treatment! I’m a huge fan of candles, especially during chilly winter months. I feel like they almost instantaneously change the atmosphere and my mood. 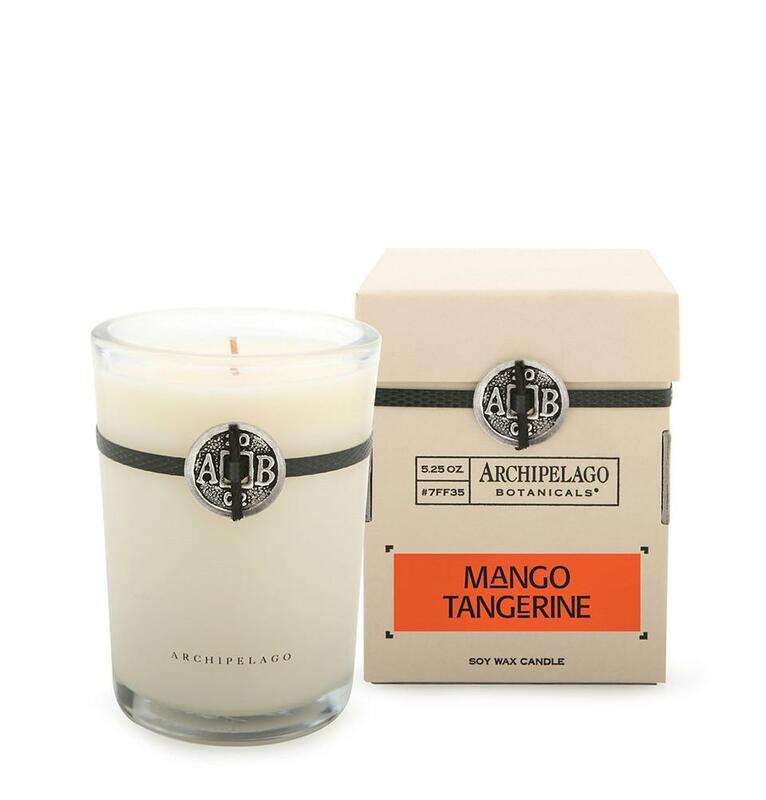 Since I’m also a huge fan of all things tangerine, and of simple, graphic design, I couldn’t help but fall in love with this candle! 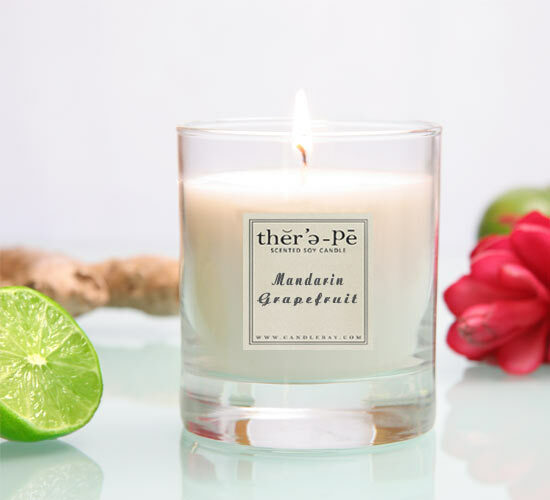 The fresh, crisp aroma of this citrus based candle is just the thing when you need a little get-up-and-go. Perfect for creating a positive vibe as you get ready in the morning. 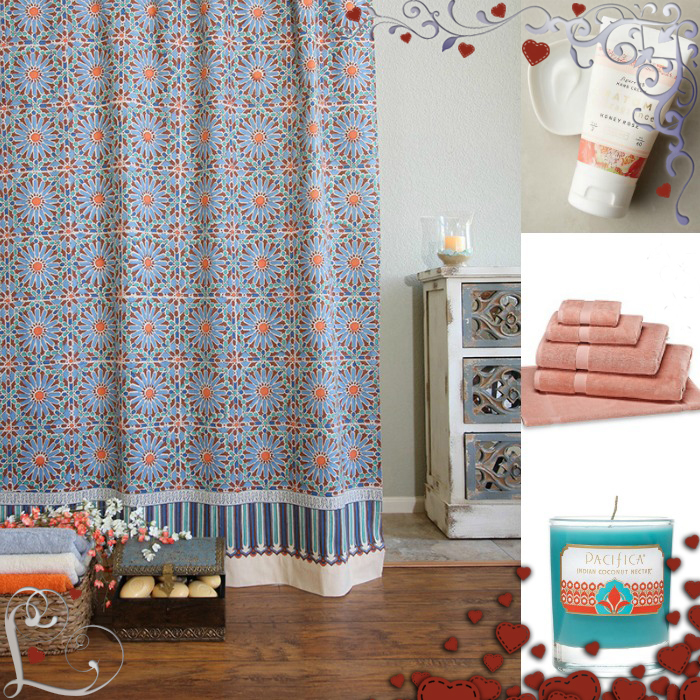 Promote bright cheer in your bath with a combo of turquoise and cherry-blossom pink bath linens. 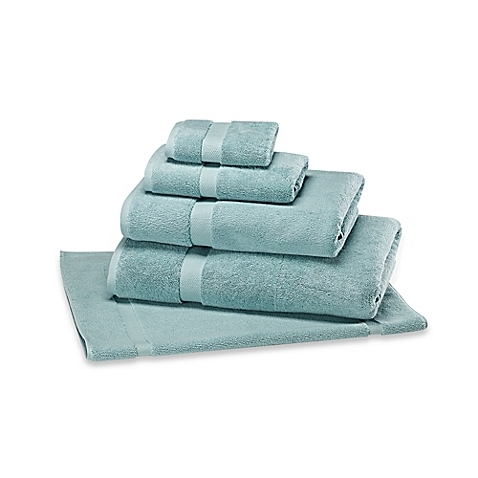 These are an easy find from Bed, Bath & Beyond, and will tie in your Mosaique Bleue curtain seamlessly, especially in a bath with neutral walls. 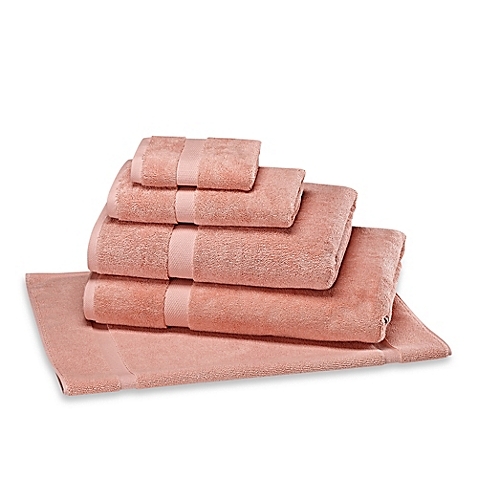 Bath towels, hand towels or face towels in this sweet peachy pink indicate femininity and cheer and are a perfect complement to our predominantly blue shower curtain. Now that you’ve seen Mosaique Bleue in a bath, you may be interested in how this print works around the rest of the house. 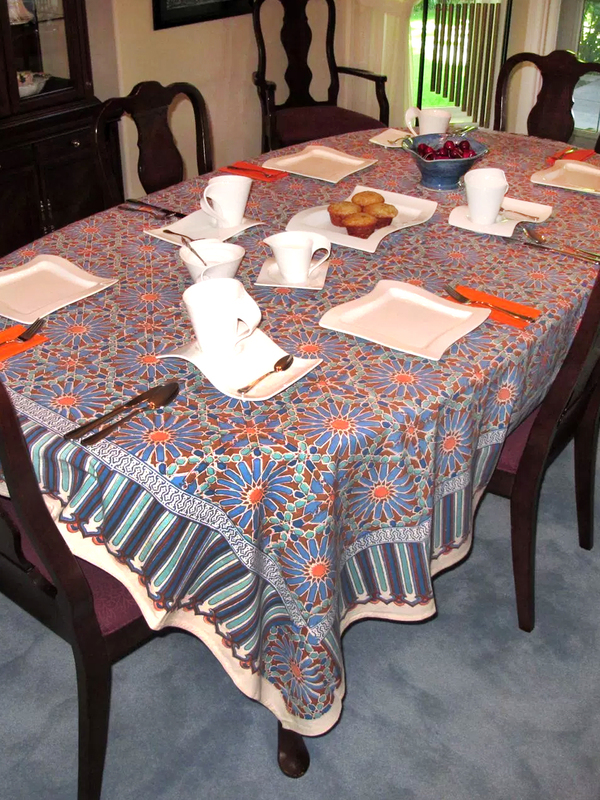 See everything Mosaique Bleue in our collection! Create a Warm, Lush and Lovely Bath with Tropical Garden! → Create a Warm, Lush and Lovely Bath with Tropical Garden!